Previous spins have absolutely no repercussions on current ones. There is a 50-50% chance of hitting the same color even after a dozen of consecutive spins. There is no written law about the probability of a ball landing on the red pocket or on the black one for that matter. In other words, if a player has 200 shots, the chances of placing the ball in the red pocket are just as high as placing it in the black one, furthermore expecting stripes of 4,5,10 is more than probable! Imagine the following scenario: the player spins 8 reds in a row and finishes incredibly with a black pocket, and soon after a second one: the player spins 8 blacks in a row and finishes incredibly with the same black pocket. So what was the point of all this? Is there any logic behind this pseudo-simulation? Absolutely none, as it is not the logic, that controls the outcome, but the luck. The occurrence of blacks is just as high as the appearance of reds and the other way around. 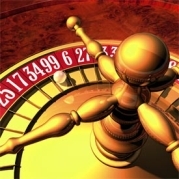 Those who are still being skeptic about the previous roulette strategy should test all of this on a simulator. Hitting the right number has never been a matter of will; on the contrary, it is a matter of chance. The latter one has the ability of influencing the spins regardless the length of the streaks. Therefore, you should bet on red/black even after a series of blacks/reds. Is there anything such as Exact Probabilities? One thing is for sure however, namely that it is far better to act as a smart player! Stop chasing after forgotten dreams and stick to these numbers instead! If anything, then this is probably the best choice one has in current times. Good luck!